There has been a lot of hype surrounding the historic energy reform that Mexico’s government pushed through over the past few years, opening up the oil and gas sector to private investment from international companies for the first time in seven decades. But the initial fruits from the energy reform do not look quite as exciting as the government had predicted. 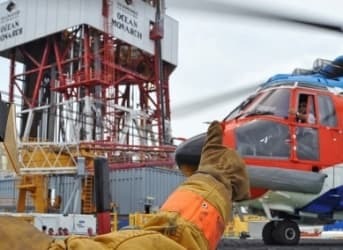 The results of Mexico’s “Round One” auction for shallow water offshore oil blocks in the Southern Gulf of Mexico proved to be an enormous disappointment for those hoping the liberalization of the country’s energy sector would lead to a stampede of investment from the oil majors. There were 14 blocks put up for bid, but only two bids were awarded. The winner of the two blocks was a consortium between Mexico-based Sierra Oil & Gas, Houston-based Talos Energy LLC, and a British company, Premier Oil PLC. The group offered to pay the government 10 percent above the minimum requirement, with a 55.99 percent of operating profit set aside for the government in the first block, and 68.99 percent in the second. Sierra Oil & Gas is Mexico’s first independent oil and gas company. The consortium won the rights to two blocks, Block 2 and 7. Block 2 is located just off the coast of the state of Veracruz. The 75 square-mile block is expected to hold light oil and natural gas, perhaps as much as 341 million barrels of oil equivalent (boe). Block 7 is further east off the coast of Tabasco, a much larger block, nearly 300 square miles, with potential reserves of 263 million boe. There are two main reasons for the tepid interest from oil companies. First is bad timing. The Mexican government happened to schedule the auction during a period when oil prices are at their lowest in years, a development that couldn’t have been predicted when the energy reform got underway. The energy reform push started after the election of President Enrique Peña Nieto. Between the time he took office in late 2012 and when the rules were finalized in 2014, oil prices often traded above $100 per barrel. This gave the Mexican government confidence that there would be a lot of interest in the blocks that it would put up for auction and that the competition between bidders would produce a large windfall for the government once production took off. But alas, the oil markets experienced an historic bust in 2014. Low prices are scaring away most of the companies that would otherwise be interested. With spending budgets now on a tight leash for the entire industry, new projects must clear a high bar in corporate board rooms. Related: Is This The Next Major Step In Offshore Drilling? And that relates to the second reason why the Round One failed to live up to the hype. The blocks put up for bid just weren’t appetizing enough to oil companies, owing to the terms offered by the Mexican government and perhaps the uncertainty over how productive the assets on offer would eventually be. “Without doubt, the start of round one didn't have the momentum we were hoping for,” said Juan Carlos Zepeda, president of CNH, Mexico’s oil regulatory body. Still the government struck a note of optimism. The latest auction is only the first in a series of five planned auctions. The government expects future rounds to attract more interest, and it may even tweak the terms that it offers to woo more companies. But even though the government is disappointed in the results, maybe it shouldn’t be. Despite the poor showing, the goal for the government is not to ensure that all blocks are auctioned off immediately, but instead to ensure that it earns a certain share of the profits. By setting a high mark for profit sharing, it may scare away some companies, but it also protects the state of Mexico and its taxpayers, who are ultimately looking to benefit from the auction. The blocks that received no bids can always be auctioned off in the future when market conditions improve.